From August 3 to 6, President Santosh Gowda as well as President and Chief Executive Officer Reddy Veeranna of Indian Strawberry Star Real Estate Group and their entourage paid a visit to China. 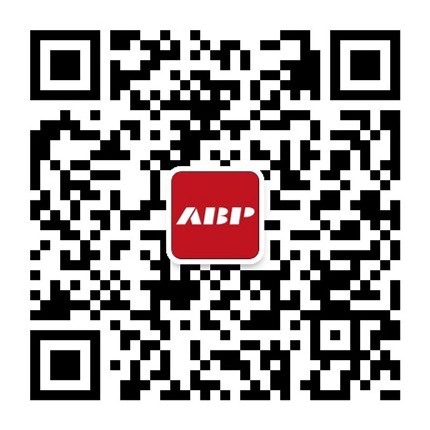 They conducted an on-the-spot inspection of ABP Beijing, ABP Jiangnan City, ABP Qingdao and ABP Northeast China and highly expected to carry out in-depth cooperation with ABP Holdings Group. Through this special trip, Strawberry Star Group has made its first inspection of ABP (China) since it signed a cooperation contract with ABP London in June this year. These successive visits are not only an epitome of the comprehensively-promoted Sino-India political and commercial relations, but also a reflection of the mutually-beneficial non-governmental exchanges and capital investments between India and China. "The reason why we chose to cooperate with ABP is not only that we felt the strength of Chinese enterprises, but also that we saw the great potential of the ABP London Project. This partnership will bring huge common interests to our both sides." When meeting with President Xu Weiping of the Board of Directors of ABP Global Holdings Group in Beijing, President Santosh Gowda repeatedly indicated that it was exciting and gratifying to see the in-depth cooperation between Strawberry Star Real Estate Group and the excellent team of ABP in high-quality projects. At present, as the two most-rapidly developing and most powerful economies in the world, the bilateral cooperation between India and China will certainly promote the future development of ABP London as well as the trilateral economic dealings between UK, India and China. ABP and Strawberry Star Real Estate Group are representatives of the powerful enterprises of China and India. Over more than ten years since its establishment, the model advantage and operating philosophy of ABP has become renowned at home and abroad. Strawberry Star is a comprehensive international group with businesses conducted in the Middle East, Singapore and other places. Both sides are optimistic about the London market, making their cooperative development imperative. As early as in June 26 this year, ABP and Strawberry Star Real Estate Group expressed mutual sincerity to each other and signed a preliminary cooperation agreement. In accordance with the agreement, Strawberry Star Group will provide tens of millions of pounds of equity investment for the development of ABP London and ABP will build a new platform for Strawberry Star Group for its investment in the emerging market of London. ABP London is located in the eastern part of London and enjoys obvious transportation and resource advantages. The first batch of enterprises that have signed contracts with the project include Savills, China Taiping and dozens of enterprises from China, India and UK. These enterprises are engaged in life science, high-tech, insurance, finance, logistics, building design and other industries. It is expected that other dozens of Chinese and foreign enterprises will also join in the project by the end of this year to reap profits in the eastern London market. In this regard, President Xu Weiping stressed that UK is the economic center of Europe and there is great space for development in London and especially the eastern part of London, which has become the focus of the national strategic development of UK. Positioned as the Asian Business Port, ABP London will gather strength of partners and spare no efforts to build a new platform for cooperation and exchanges between Chinese, British and Indian enterprises.